Genesis is a new beginning for retailers. A disposition channel that is secure, trusted and discreet, it allows you to maximise the saleable value of your surplus product by giving you a direct channel to consumers. 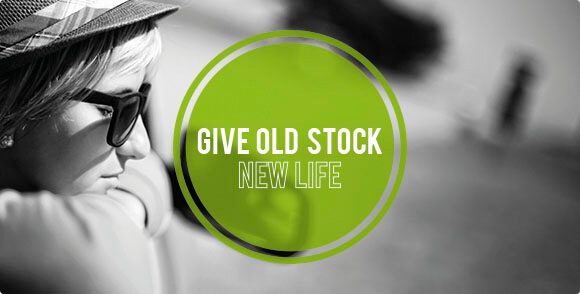 With Genesis you can free up working capital quickly and efficiently and breathe new life into your old stock. Genesis is Clipper’s dedicated eBay store. We have direct relationships with eBay, PayPal and eSellerPro to guarantee a reliable, high quality approach. Our expertise in e-fulfilment completes this end-to-end service offer and allows you to explore and trial eBay without having to invest in your own eBay infrastructure. Genesis provides a scalable and highly flexible solution to suit all your retail requirements. By taking the time to understand more about your business, range and stock volume, we can create a simple, streamlined process and procedure to match. From stock collection to checkout and delivery, Genesis handles every stage of the disposition process – leaving you free to concentrate on your core business. We help you maximise the value in returned and surplus seasonal stock. This in turn frees-up working capital. Designed for fashion, general merchandise, home & garden, and electrical goods, Genesis delivers higher sales values than the multichannel ‘jobbing’ rate, and reduces write-offs. Clipper has a strong record in delivering bespoke retail logistics solutions to many of the UK’s leading multichannel retailers. Genesis can be integrated seamlessly into your UK and European operations, with standalone in-country eBay platforms. The Genesis domain name can even be tailored to specific countries and regions (e.g. ebay.co.uk or ebay.de). Clipper offers a fully-managed service with full stock visibility and real-time reporting. Genesis can be fully integrated into Clipper’s end-to-end multichannel logistics solution. It also brings you all the benefits of outbound e-fulfilment and our reverse logistics service – Boomerang™. Genesis is a discreet channel that ensures the integrity of your brand is protected at all times. Genesis has no set-up costs and provides an instant, direct-to-consumer channel without the requirement for capital investment.